Most people see a rainy forecast and a few sprinkles, and they get bummed out, because they have to cancel their plans. 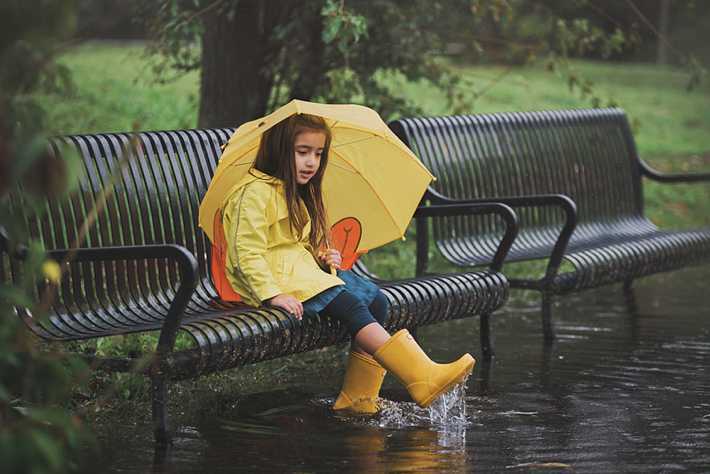 I see an opportunity to play in the puddles and do something different! I believe you don’t have to frown at the gloom, you can brighten the grey with some bright yellow, and go splash in the puddles. 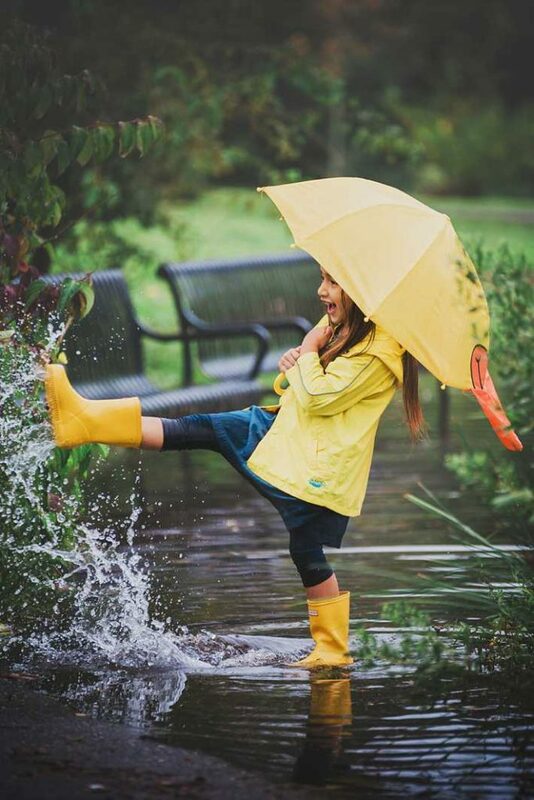 There is no better opportunity to capture true-to-life moments from childhood than playing in the rain with the perfect yellow raincoat, boots, and umbrella. I think it’s something we can all learn from: don’t be afraid of the things that are seemingly “wrong”, because sometimes they can be the best way to get creative and have fun experimenting. These are a little bit more moody than my typical portraits, but I love the saturated colors, and the water droplets. 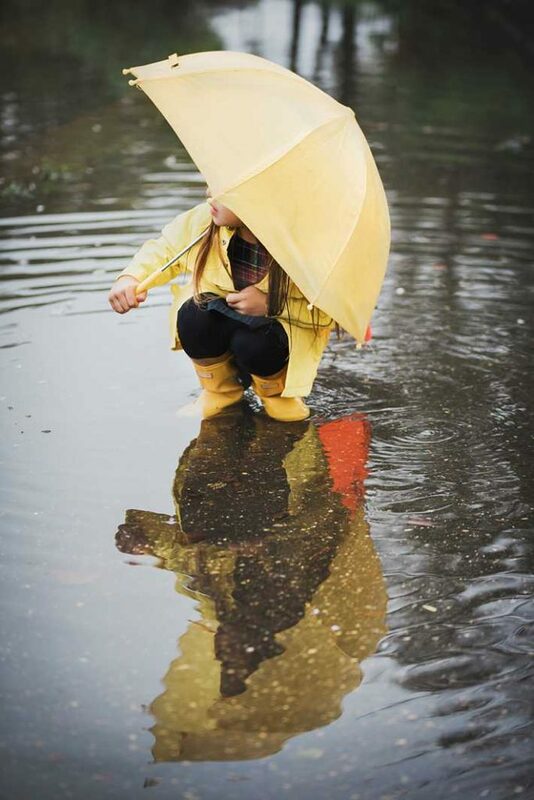 Jumping in the puddles is just one unconventional reason to do a photoshoot. I love doing photoshoots on carousels, in farmers markets, and on the beach…I believe that any location can ‘speak’ to you, and be a place you can make some new memories. Whether it’s a place that holds special meaning to you and your loved ones, or somewhere you’ve never been before, I love exploring with my clients. Let’s get started today, creating heartfelt and breezy portraits together.